Precision stitching and a refined, tailored silhouette is what sets this two button, three piece apart. 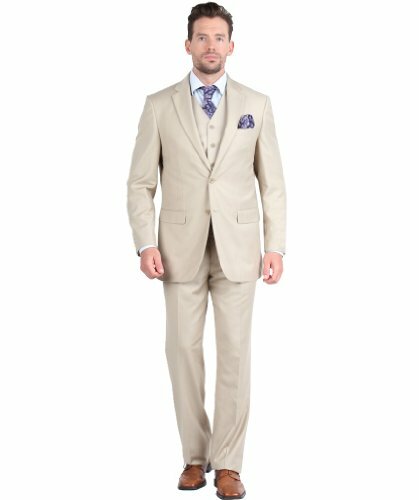 This modern fit, Giorgio Fiorelli suit is engineered with a Super 150s quality textile that ensures a soft, comfortable feel and durability. Your look is always confident and complete in a three piece suit. - Unhemmed for custom tailoring. Once hemmed the suit may NOT be returned. View More In Suits & Sport Coats. If you have any questions about this product by Giorgio Fiorelli, contact us by completing and submitting the form below. If you are looking for a specif part number, please include it with your message.